U.S. Rep. Chris Smith today announced passage of the 21st Century Cures Act (HR 6), bipartisan legislation that will boost funding for biomedical research at the National Institutes of Health (NIH), promote interagency data collection and sharing and reform the Food and Drug Administration (FDA) to bring new therapies and treatments to market sooner. HR 6 is designed to accelerate the full cycle of discovery, development and delivery of new treatments and cures for patients in need. 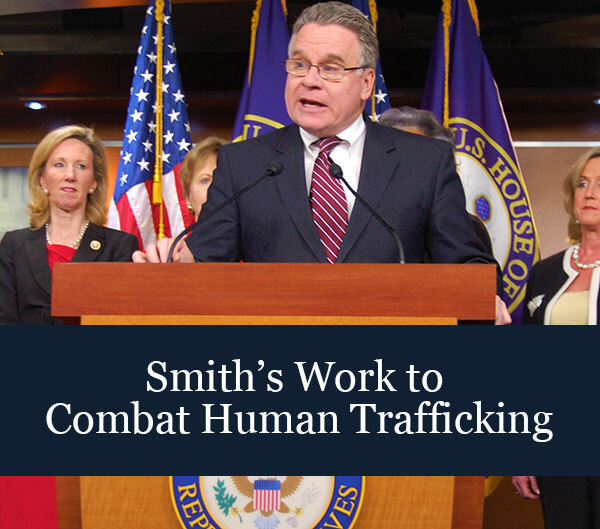 Smith is co-chairman of numerous health caucuses on Capitol Hill including the Autism, Alzheimer's, Lyme Disease, and Heart and Stroke caucuses and sees firsthand how bureaucracy at NIH and the FDA slows progress in medical research and treatments. Smith praised the inclusion of significant provisions he has spearheaded for years to ensure better coordination among federal agencies and stakeholders working to raise the quality of life for patients with Lyme disease. Specifically, Section 4081 of HR 6 establishes an Interagency Lyme and Tick-Borne Disease Working Group tasked with monitoring federal activity on Lyme and providing recommendations to guide Lyme disease research and treatment programs. Expanding input on research and treatment by including Lyme patients in the process will open new opportunities for medical breakthroughs. “Today we do not have a solid understanding of Lyme and its impact, let alone newly emerging tick-borne diseases and the myriad of co-infections that can result from a single tick bite. Without better information on how to treat Lyme and other tick-borne diseases, we will continue to fail to adequately help the estimated 363,000 Americans affected,” Smith said. New Jersey consistently ranks among the top five states in terms of diagnosed cases of Lyme, and is one of the epicenters of an ongoing controversy over the existence of a chronic (long-term) form of the disease. The Cures Act also includes a significant increase in funds for research at the NIH—the world's premier biomedical research organization—and establishes an "Innovation Fund," allowing congressional appropriators to transfer up to $8.75 billion to the NIH over the next five years. The bill will enhance planning and expand accountability at NIH by requiring the agency to develop and issue a strategic plan. The plan will guide funding decisions and leverage the best scientific opportunities to ensure research is prioritized to reach the goal of preventing or eliminating the burden of disease and improving overall human health. The 21st Century Cures Act was developed through many months of bipartisan effort by the Energy and Commerce Committee and passed the House Friday by an overwhelming 344-77 vote. Smith worked with the committee to include the Lyme provisions. Expand access to clinical trials, require FDA to implement a structured framework to incorporate patient experiences in the drug review process, and improve personalized medicine. “This investment in the NIH and the FDA will help ensure that the U.S. remains the health care innovation capital of the world by retaining our international leadership in biomedical research,” Smith said. More than 370 patient, physician and research groups support HR 6, including the Alzheimer’s Association, American Epilepsy Society, Autism Speaks, Celiac Disease Foundation, Huntington’s Disease Foundation, Leukemia & Lymphoma Society, Lyme Disease Association, National Kidney Foundation, National Multiple Sclerosis Society, Rare Cancer Research Foundation, Spina Bifida Association and the Tourette Association of America.